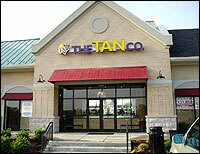 The Tan Company franchise business opportunity. Free The Tan Company business franchise information. Unlike ANY other franchisor in the tanning industry, The Tan Company has years of hands-on experience operating its own tanning salons, combined with a solid track record in franchising. 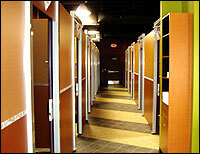 This combination is one of the most valuable advantages we can offer our franchisees. Our mission is simple - to be the most recognized name in the tanning industry. The tanning industry is a young industry with unlimited opportunity. With restricted competition in most markets, tanning is a huge opportunity for salon owners to open multiple locations, something that more established industries cannot offer. The Tan Company produces gross revenues of approximately $200,000 over the national average in the first year of business. In addition, our formula for success deters competition from opening in your area, which opens the door for you to expand your business and increase your success. We also offer one of the most innovative royalty and advertising programs in the history of franchising. The more money you make, the less you pay The Tan Company. The Tan Company's full-time training department handles the needs of our <?xml:namespace prefix = st1 ns = "urn:schemas-microsoft-com:office:smarttags" />Tanning University, known as "Tan U" which provides you with complete training of all aspects of tanning. We also provide a comprehensive training program for your employees. Our year-round marketing plan is designed to increase profitability month to month. We want to ensure that we are getting the most "bang for our buck" every month, and our strategically placed marketing program guarantees this. We also understand the importance of location, which is why we have acquired the services of CB Richard Ellis, the world's largest tenant advisory company. Our Corporate office and CB Richard Ellis will evaluate with you the area you are interested in, in order to get you the best demographics, rental rate and visibility. Our TSP surveillance systems allow you to operate one salon or multiple salons from your home or office. 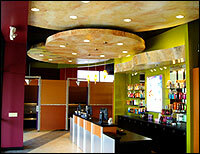 The Tan Company offers individual franchises, as well as multiple franchise locations. We also offer the Area Developer opportunity, where an investor can acquire a certain territory that he or she will develop with the assistance of The Tan Company. Act now to secure your opportunity to partner with The Tan Company as we consolidate our position as the number one retail program in the tanning industry. To learn more about The Tan Company tanning franchise opportunity, simply complete the form below.